Starting to play bigger gigs? 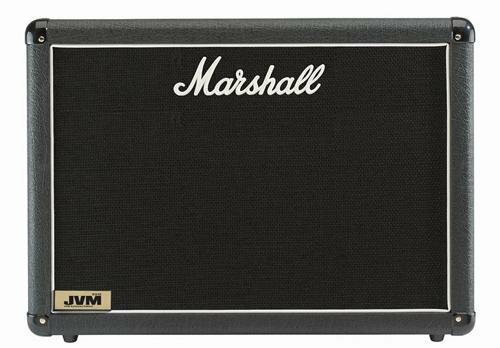 The Marshall JVMC212 is the perfect extension cabinet if you play a JVM combo guitar amp. Sitting under your combo, you've got a proper-looking Marshall stack, and - essentially - a 412 rig that'll push your sound to the back rows of big venues. And of course, you'll get all the juicy bottom end you could ask for, while still being able to transport your rig without a crew of roadies. For an ultra-compact setup, check out using the JVMC212 with a JVM Series head. Any way you slice it, the Marshall JVMC212 is a smart move.